"I received my first issue of JOJG and literally devoured the material. It is, indeed, a fine publication." Sukiya Living Magazine (The Journal of Japanese Gardening) is a bi-monthly English-language print publication dedicated to the special world of Japanese gardens and Japanese architecture. Every other month, this 44-page magazine discuses various aspects of Japanese architecture, horticulture, art, and philosophy. Topics range from centuries-old design principles to modern, how-to construction and maintenance techniques. 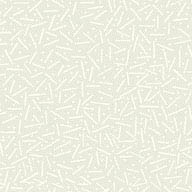 This website is intended to give you a feel for the kind of material published in each issue. It is our hope to serve as an educational resource, and we try to offer well-illustrated articles that are brief and focused on information that you can apply in your own homes and Japanese gardens. 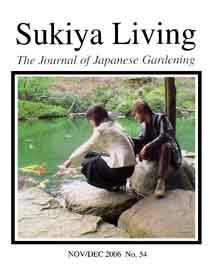 In addition to the magazine, Sukiya Living Magazine publishes a Resource Directory and a few useful Japanese gardening booklets. Each year we hold several intensive training workshops for participants to learn hands-on techniques such as tree pruning, stone setting, and fence building. We also sponsor a variety of tours to Japan, including an annual JAPANESE GARDEN TOUR to Kyoto. If you would like to learn more about Japanese homes and Japanese gardens, this web site is a good place to start. Thank you for visiting with us, and good luck with your Sukiya Living dreams.